IYA 2009 is only a month away, and before officially closed, my office organized activities, in the participation of this IYA 2009. 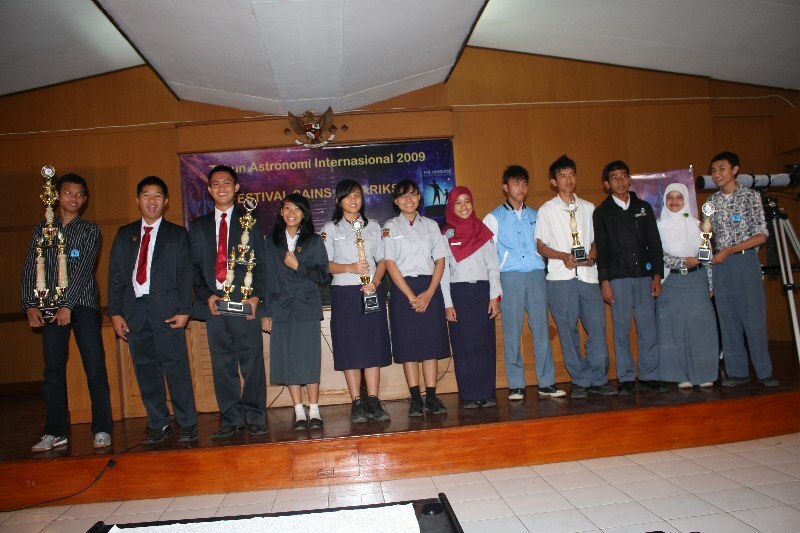 The name of the activity is Festival Sains Antariksa 2009 (Space Science Festival). There were various activities, as usual, like years before, for young to high-school students. But unlike the previous years, for this year, there was a national competition for space science writing, with various themes: space weather, space debris, human and the universe, and about what the students expect from the space study in the school. As grand prizes, we provide telescopes for the winners. There were about 50 students from around the provinces in Indonesia that follow this competition, and only 5 selected, one from Jakarta, two from Bandung, and two from Palembang (South Sumatra province). 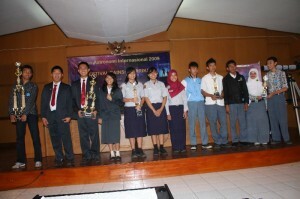 The festival was the final day, in which the finalist should presenting their writing. And after an exciting finale, the winner was selected. But the more important thing is, not about the competition, but to give the students idea about, the excitement to study our universe. 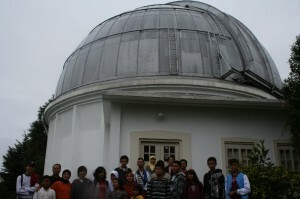 Besides, after the competition, the excitement must not be ended, instead the adventure just started, most of them never use telescope before; so, among the winners, they agreed to make a club of astronomy in their home town, and make their own network of astronomy club. Title: Kisah dari Secerecah Cahaya Mercusuar di Tengah Lautan Malam yang Gelap [tr: The Tale from the Spark of Lighthouse in the Middle of Dark Night Sky]. Title Di Balik Indahnya Pelita Fajar (Menguak Misteri Badai Matahari yang Mengancam) [tr: Behind the Beauty of Dawn Lantern (Revealing the mistery of threatening Solar Storm)].